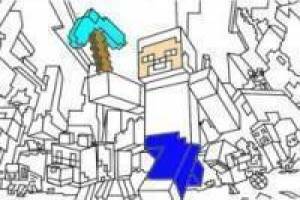 You dare to color the cover of the game Minecraft. 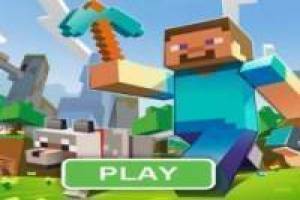 This coloring game is not like the other games that you choose a color and you apply it in the desired zone, in this game you have to have a lot of skill with the mouse because you have to color in handwriting without taking advantage of the paint bucket. You can also print it with a printer to paint it with pencils or if you prefer you can print your masterpiece. Apart from playing it on a PC you can also do it from your cell phone. 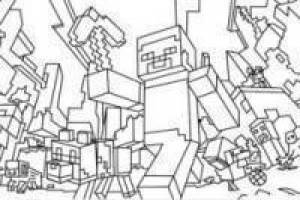 Enjoy the game Minecraft coloring, it's free, it's one of our minecraft games we've selected.